Get your lawn off to a good start. Photo credit: Sunnyside Nursery. March is a great month to whip that old lawn into shape and for that matter the next 30 days are prime time to make that sea of emerald green everything you ever dreamed it would be. Lawn care does not need to be complicated. What usually makes caring for lawns difficult is the deplorable soil conditions most home owners inherit when they purchase their home. Two to three inches of topsoil on top of compacted clay is a less then optimal situation. In fact, to be perfectly blunt, it is criminal but that is a topic for another column. In the mean time here is my best shot at helping my fellow gardeners maintain a lovely and healthy turf area. If you follow these recommendations you should have a beautiful lawn for about three cents per square foot per year. The return on that investment is priceless. FEB—Late this month feed with an Organic Lawn Food (you may need to double the rate the first year). Control moss with Bonide Moss Max or an equivalent brand. Don’t mow your lawn too close. 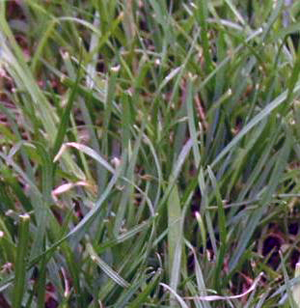 Two inches high is best for most grass varieties. MAR/APR—Test for craneflies before you apply an insecticide. In recent years craneflies have been a non-issue. Dethatch, aerate, apply lime and over seed if needed (April). Apply an Organic Lawn Food if you haven’t yet. Trap for moles now or try to repel them with castor oil products such as Mole Max by Bonide. Control red thread with synthetics like Bonide Infuse or Serenade (this is a biological control) and improve drainage and fertility. MAY/JUNE/JULY—Feed again only if you are not happy with the color with an organic fertilizer. Spot treat for broad leaf weeds such as clover, dandelions, etc. with Bonide Weed Beater Ultra or an equivalent product. Do not use a weed and feed. Water an inch per week, letting the ground dry slightly between waterings. AUG/SEP—Make a second application of EB Stone Lawn Food or equivalent if you didn’t in May, June, or July. Late August thru September is another great time to aerate, dethatch, lime and overseed. OCT/NOV—Apply an organic food such as EB Stone Lawn Food only if you did not in August or September. Watch for new mole activity and trap them if necessary. October is the last chance to overseed or plant a new lawn. Control red thread if it reoccurs. DEC/JAN—Be sure you have raked all the leaves off your lawn and avoid walking on frozen turf. Admittedly this is a simplified (but effective) program for lawn care which if followed will absolutely give you a healthy and attractive lawn. If you should have further questions I highly recommend you attend our free annual class on lawn care this coming Saturday, March 29th at 10am here at the nursery taught by Certified Professional Horticulturist Trevor Cameron where you will be regaled with more information on lawn care than you ever thought possible. Please call or email to reserve a spot. A well-maintained lawn can serve as a bio-filter for pollutants, a receptor for rainfall, and a great place to recreate. It is unfortunate that it has been so vilified in recent years. Lawns, when properly maintained are an asset to the community and a source of pleasure to the gardener. Don’t let anyone tell you otherwise.